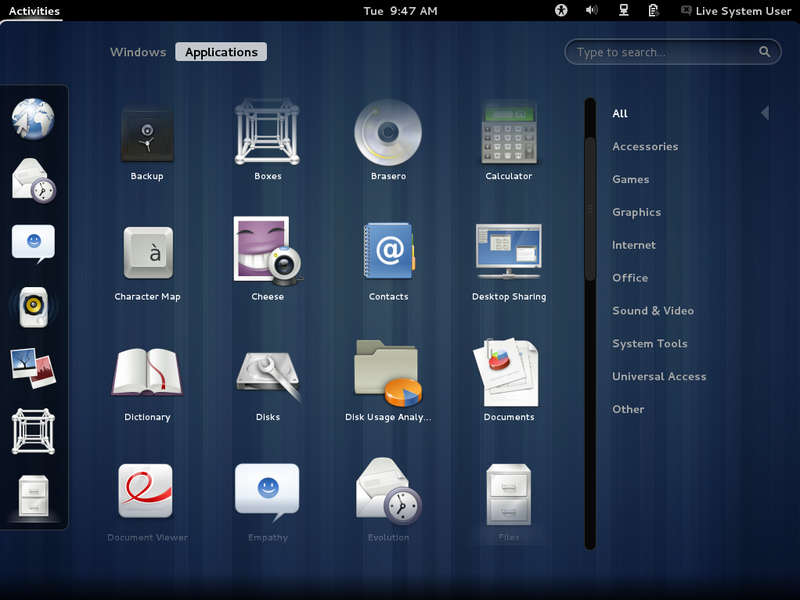 If you want to try the latest GNOME 3.4 with all its applications, including Boxes, Documents, Web (Epiphany), Contacts and so on, there is now a GNOME 3.4 live CD available for download. The ISO image is based on Fedora and comes with basically no modifications from the original GNOME 3.4. You can test the ISO either in a visualization software such as VirtualBox (I've just tried it in the latest VirtualBox 4.1.12 and GNOME Shell works without having to install the guest additions) or by writing in to an USB drive.